In de negentiende eeuw ontwikkelde de hoorn zich tot een solo-instrument en daarbij speelde het concertleven in o.a. Parijs een belangrijke rol. 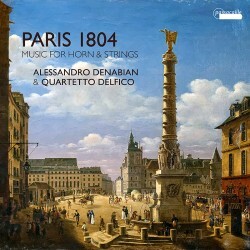 Alessandro Denabian treed hier in de voetsporen van Frédéric Nicolas Duvernoy (1765 - 1838), één van de grootste Franse hoorn virtuozen die tot 1816 professor hoorn was aan het conservatorium van Parijs. ALESSANDRO DENABIAN natuurhoorn, LUCIA CIRILLO mezzo-soprano, FRANCESCA BACCHETTA fortepiano (Mathias Jakesch, Vienna, c. 1823). 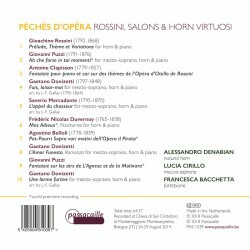 Werken van Gioachino Rossini (1792-1868), Giovanni Puzzi (1791-1876) & Paolo Bonfichi (1769-1840), Antoine Clapisson (1779-1857), Gaetano Donizetti (1797-1848), Saverio Mercadante (1795-1870), Frédéric Nicolas Duvernoy (1765-1838), Agostino Belloli (1778-1839), Giovanni Puzzi & Giovanni Paisiello (1740-1816). After a very successful lifetime, albeit marked by long years of physical and psychological suffering, Gioachino Rossini (1792-1868) chose Passy, on the outskirts of Paris, as the place to spend the final years of his life. Here Rossini recovered his health and began composing again after years of inactivity. During these years, in addition to the wonderful Petite Messe solennelle, he wrote numerous pieces for piano, voice, and small ensembles. 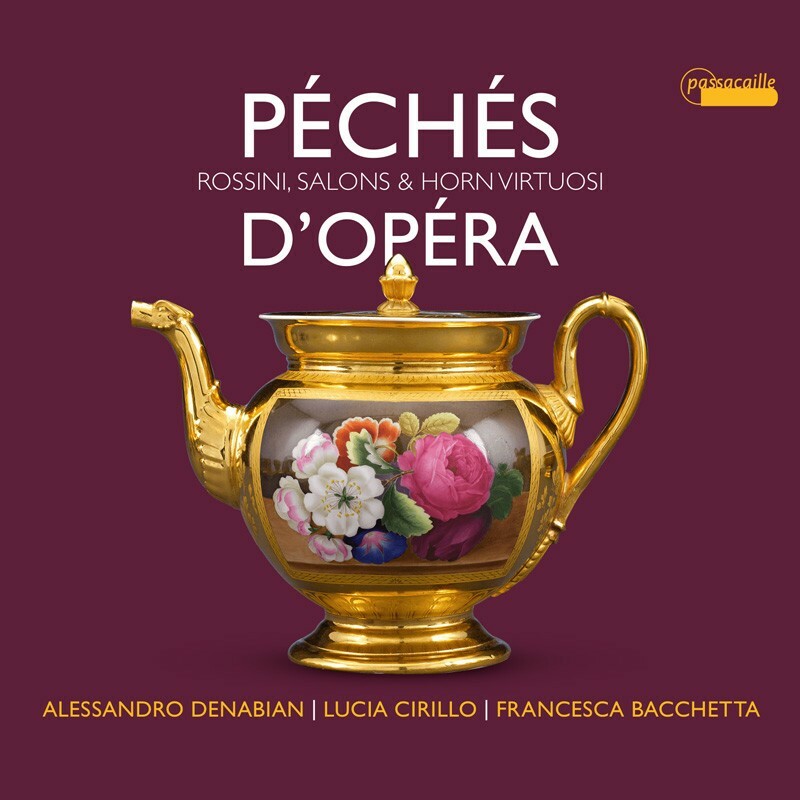 Many of these pieces, which often have ironic titles, were created to be performed during the musical evenings held by Rossini in his villa in Passy with his wife Olympe, attended by prominent figures of society and the best artists from Paris. Rossini himself called these compositions, Pachas de vieillesse (Sins of old age). 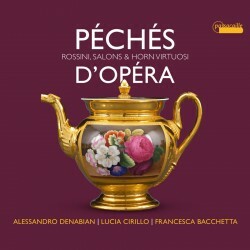 One of the major works of horn literature is included among these Péchés: the Prélude, Thème et Variations pour cor, avec accompagnement de piano, composed in 1857 for the eclectic horn player Eugène Vivier (1817-1900), with whom Rossini had developed a convivial relationship.